Well Seals LLC is a privately owned Texas based rubber company involved in the manufacturing and distribution of premium quality elastomer products for the oil and gas industry. We are headquartered in Arlington, Texas. Our staff of skilled engineers and technicians offer decades of experience. Our team is dedicated to providing our customers with the highest quality elastomer products for the challenging oil and gas environments. We follow an ISO 9000 Quality Compliant System in the manufacturing of our products. Almost a decade has passed since Well Seals rubbers started coming off of our press lines and our product brand hit the oil and gas market. We have strived to set an industry standard with our premium products we provide to our customers. We offer a wide range of products for retrievable packers, bridge plugs, completions tools, and custom projects. We comply with all environmental and safety regulations. Well Seals is committed to the integrity of our business and our community. 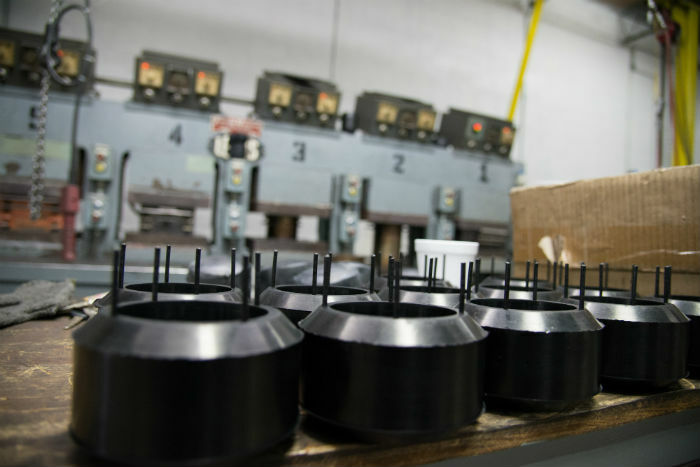 The success of our business relies on offering premium USA manufactured rubber products at a competitive price and meeting our customer’s needs and expectations. Our goal is to make our customers happy with short lead times, quality products, and excellent customer service.